On the Starter plan and above, your Live Feed will show your recipient's location when they interacted with your email when we are able to detect it. Here's what location tracking looks like in your Live Feed. Just hover over the eyeball icon or timestamp to see the email's activity. 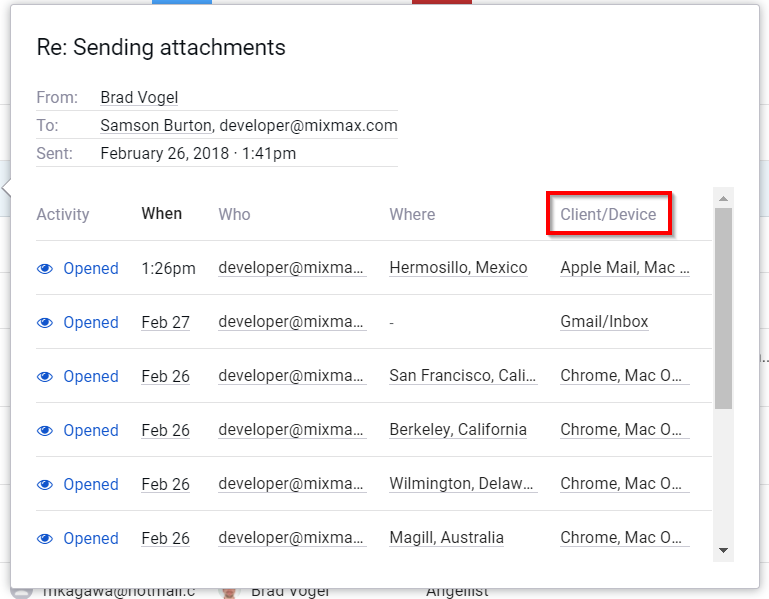 When you hover over the lightning bolt in for a message in your Gmail Sent Mail folder, you'll be able to see the number of locations your recipient has interacted with your message. Simply head over to your Live Feed to see exact locations. 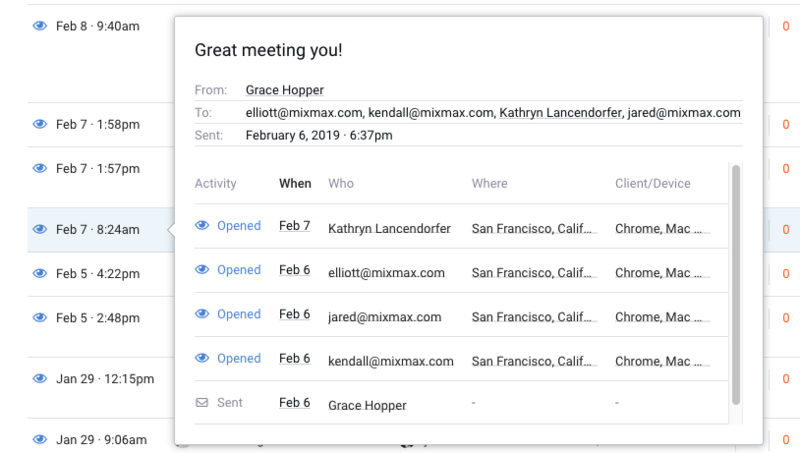 This fine-grained tracking gives you insight into whether your email was forwarded — if your Live Feed shows that a single recipient is opening your email in multiple locations within a short period of time, it's likely your email was forwarded to other people. Location tracking on desktop: We report the location associated with your recipient's IP address. It is not necessarily their geographical location. Location tracking if recipient is using VPN: We report the location associated with the VPN provider. This may differ from the recipient's physical location. Location tracking on mobile: If your recipient opens an email on their mobile phone, the location indicates their approximate location when they opened the email. When you hover over the eyeball icon or timestamp of a message in your Live Feed, you'll also be able to see the device and/or browser your recipient used when he or she looked at your email. This information will provide insight on whether you need to tailor your content to mobile or desktop devices.